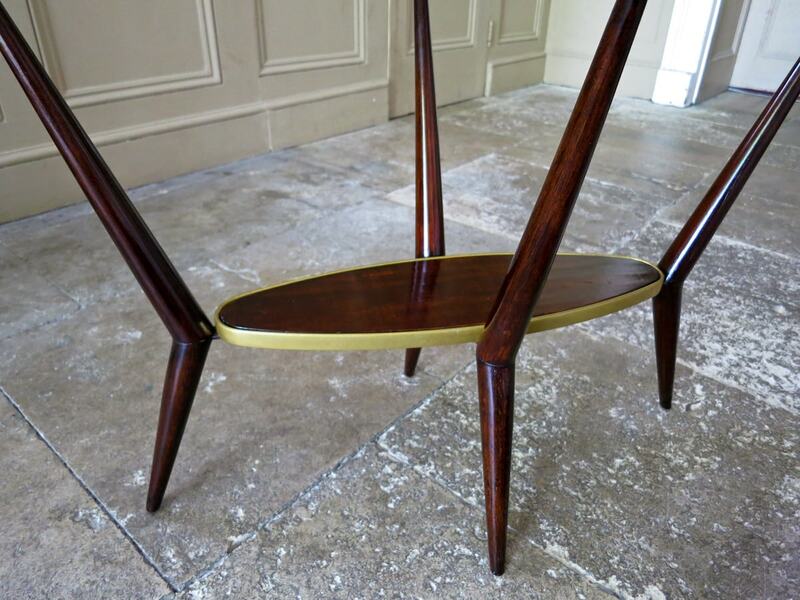 An original Italian design coffee / occasional table from the 1950’s. 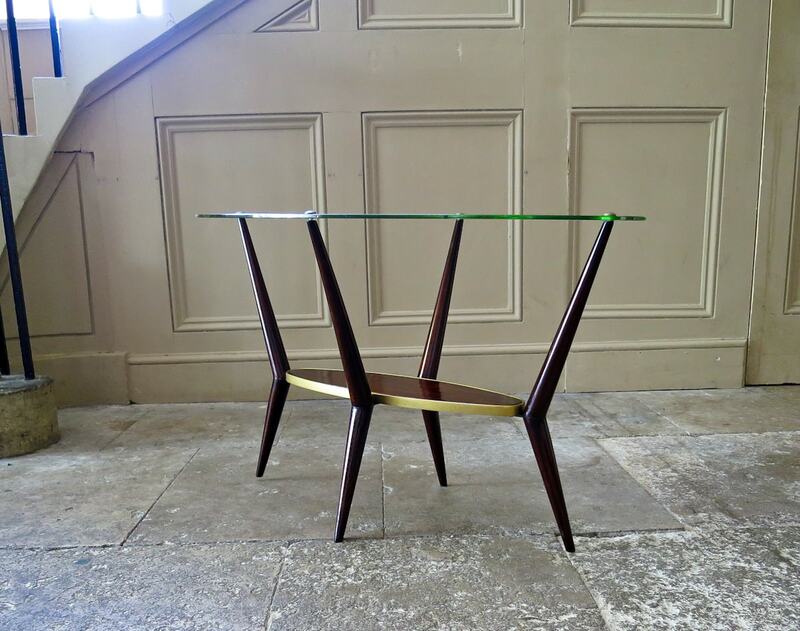 An oval glass top supported by four tapered and jointed legs, punctuated by a lower tier. All in an excellent original condition. 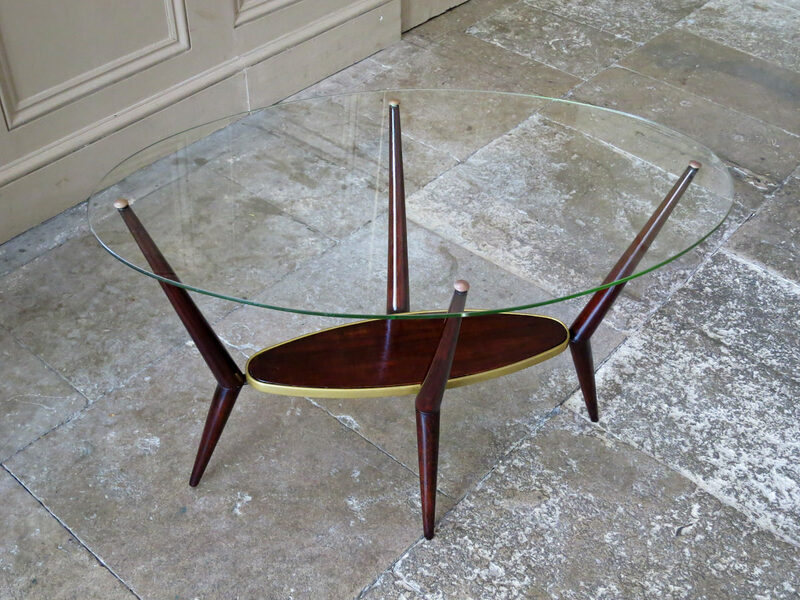 A really striking piece of Italian design that is so 1950’s. 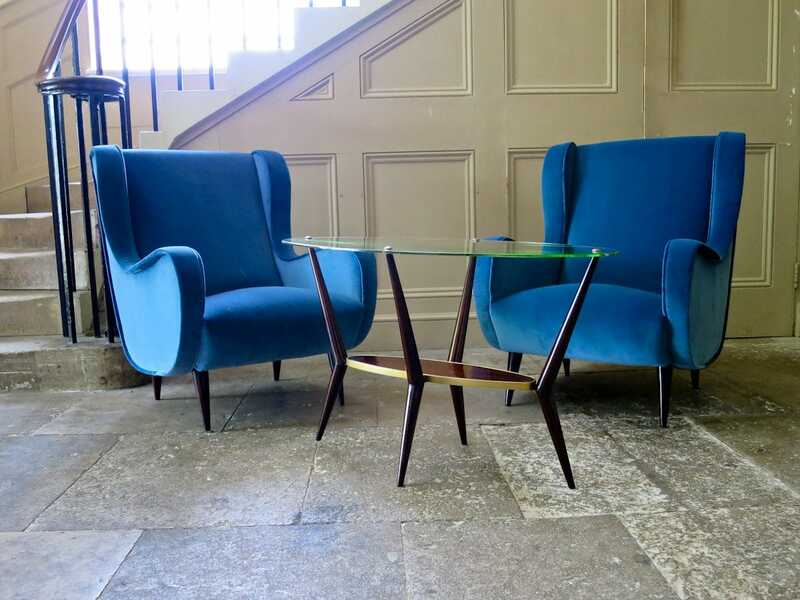 Beautiful patina and age to the wooden frame and brass detailing, nicely restored to its original condition. 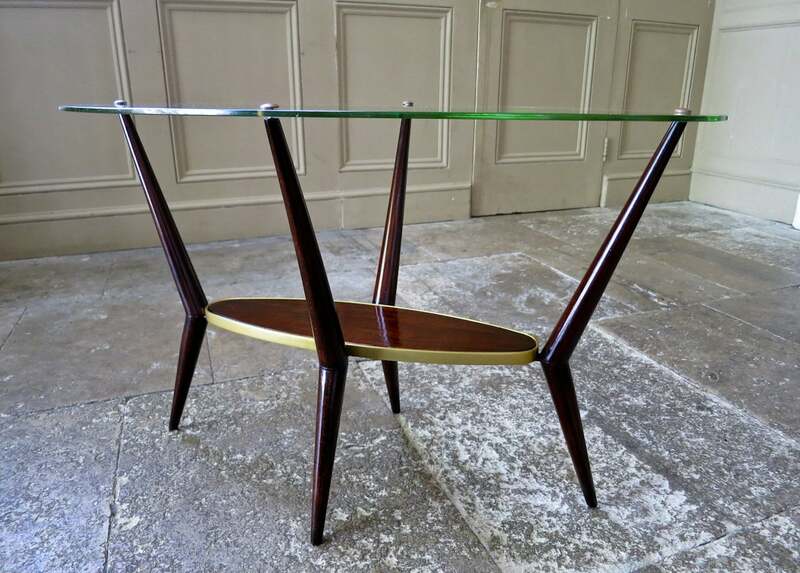 A unusual piece of mid century modern design. 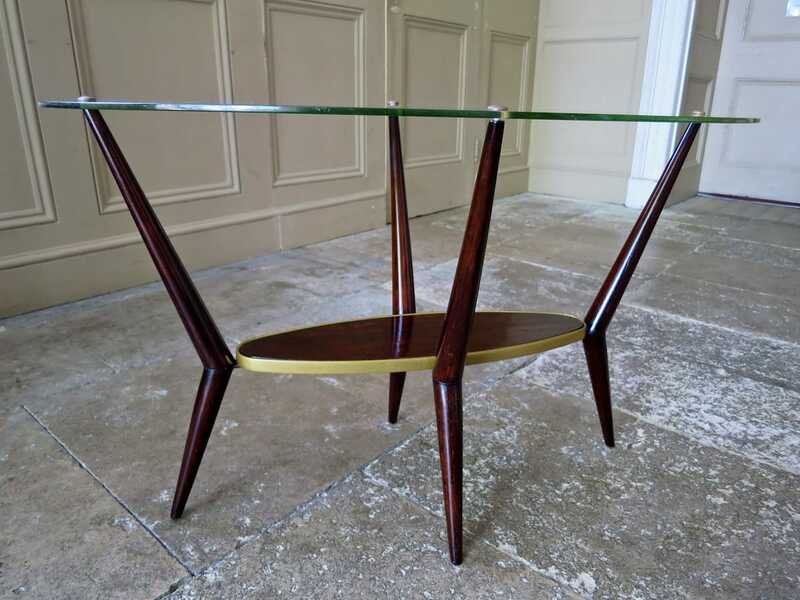 Bought in Italy this small table would look stunning in sitting or living room, adding a bit of Italian flair to your home.